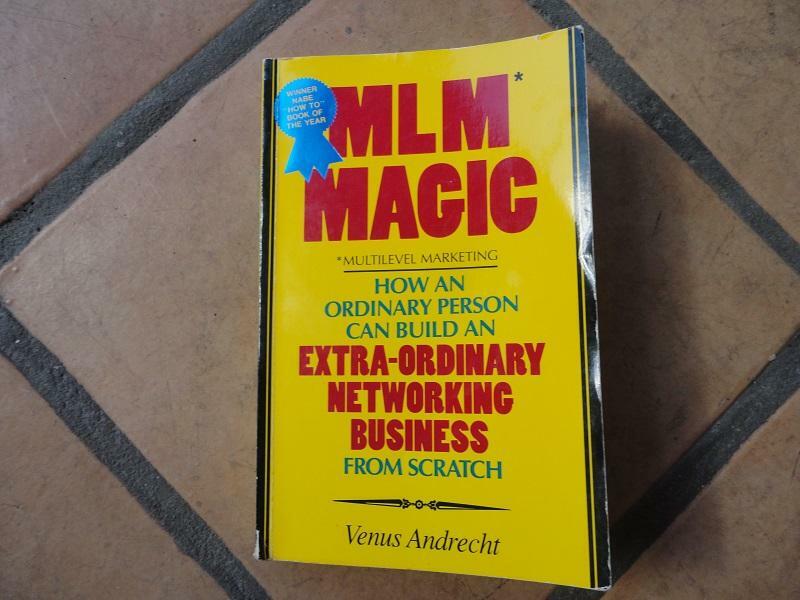 In today’s post, I want to share my Top 75 Best MLM Tips and Advice of All Time. These are important lessons I have learned during the past 13 years in this great industry. I hope they help you as much as they have helped me. They are listed in no particular order. Enjoy. 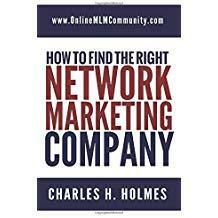 # 1 Have a long term view about your network marketing business. Businesses typically take years, sometimes decades, to build up. No successful business is built in three to six months. Have some patience and think of your business from year to year, not day to day or month to month. At a bare bones minimum, make a two year commitment to your business before you decide if it is right for you or not. # 2 The money is in the follow up. Build a list of everyone you talk to and stay in touch with them minimum every three to six months until they buy or die. Most people will need you to follow up with them at least seven to twenty times before they make the decision to buy or join. # 3 Find a trusted mentor who has achieved the success you desire and seek their counsel. Learn from their mistakes and humble yourself enough to listen to them. A good mentor can shorten your learning curve. # 4 Pick a good company with products you are passionate about. Find a company that has already been around at least five to ten years and is established and reputable. You want a company with products that really excite you. If the products don’t make sense neither will the business. # 5 Create a daily action plan. Develop a simple daily routine that you can follow every single day to be productive and efficient. Focus on two to three money producing activities every single day. Never go to bed until you have done everything on your daily action plan. # 6 Develop a business plan. All successful businesses need a written business plan. Network marketing is no different. Come up with a simple one to two page document that covers your goals, vision, unique selling proposition, target market, strategy and daily routine. This will help you look at your business from the outside in and help you be strategic about your business. # 7 Lead by example. Be the type of sponsor you wish you would have had. Set the pace for your group. Make sure your work ethic matches your words! People are always watching you so make sure you are being a good role model for them to emulate. Always lead by example. # 8 Get better every single day. Focus on progress not perfection. Make it a point to be better today than you were yesterday. Keep doing this over and over and watch how much you can improve over a one to two year time frame. I call it the power of continuous improvement. # 9 Work the numbers. What you lack in skill you can make up for in numbers. This is a numbers game. You have to sift and sort through a lot of people to find your key people. You have to sort through a lot of dirt to find your gold! You can’t just talk to a few people and expect much to happen. # 10 Have fun in your business. If you aren’t having fun in your business you are doing it wrong. Most people want to have more fun in their life. Help your team members laugh and feel like they are part of something greater than themselves. Take your business seriously but don’t take yourself too seriously. # 11 Increase your value. We get paid based upon the value we bring to the marketplace. If you want to make more money you must improve your knowledge and skills. You do that by investing in your business education and focusing on your personal development. # 12 Promote events. Whenever possible, get everyone on your team to local, regional and national events. Get everyone to go to the company’s annual convention. Conventions are where people make the decision to build the business. People who go to events will be the people who typically do the best in your business. Always promote and build for the next event. # 13 Keep things simple. Don’t over complicate your business. Keep it so simple that a cave man could do it. When you make things complex, people will get confused and do nothing. The real beauty of this business is the simplicity. # 14 Focus on one thing. You can’t chase two rabbits and be successful. Pick one good company and focus on building up that company for the long haul. Don’t try to build too many different businesses or income streams at once. When you do that it’s hard to focus and get good results. It’s much easier to pick one thing and master it rather than try to be the jack of all trades. # 15 Build a large frontline. You need to build a large frontline in your team. This is your personally sponsored distributors. Most top earners have personally sponsored minimum 100-200 people. That is a good number to aim for. The more the better. # 16 Don’t expect anything from anyone. Don’t place your success in someone else’s hands but your own. Have zero expectations of everyone you sponsor, so you won’t be disappointed if they do nothing or quit. That way if they do decide to build a business you can be pleasantly surprised! # 17 Invest back in your business. Take at least 10-20% of your monthly income from your business and reinvest it back into your business. This includes education, training materials for your team, contests, gifts, marketing materials and advertising. This is really, really important to do during the first five to ten years of your business. # 18 Set business hours. 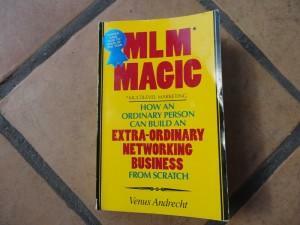 You can’t have your MLM Business open thirty minutes a week and expect much to happen. If you owned a restaurant and you were only open 30 minutes a week, you would go bankrupt quickly. The same holds true in network marketing. Set daily business hours and have enough discipline to stick with your schedule. If your business isn’t open, you can’t make money! # 19 Keep a positive mental attitude. Your attitude is a precious asset. Do what you can to eliminate the negative people in your life. Guard your attitude like your life and success depends upon it! Focus on improving your attitude every day. It’s true, your attitude determines your altitude in life. # 20 Have a sense of urgency. Treat your business like your life depends upon it. Act as if you have $10 million invested in your MLM Business. Never, ever put it on the back burner for other things. If it’s not important to you, you won’t get the job done. # 21 Surround yourself with positive people. The power of association is very important. Hang around people who encourage you and uplift you. Hang around people who are successful, positive thinking and want you to succeed. The people we associate with determines what we will accomplish in life. # 22 Focus on activities, not results. You typically can’t control the results that you get in your business, but you can control the activities that you focus on. Make sure you spend 90% of your working hours on the money producing activities: prospecting, showing the plan, following up, getting customers and training your team. Do that consistently and your team will grow. # 23 Know your why. It’s really important to know your why. This is your motivation and purpose for doing the business in the first place. Having a strong why will keep you in the business while you develop your skills and mindset so you can become successful. # 24 Use the tools. Carpenters need tools to build their business. You might not be a carpenter, but network marketers need tools as well. These are resources that allow you to work smart and be efficient. Tools include your business cards, samples, videos, webinar, auto-responders, CDs, etc. # 25 Always do the right thing. If you just do the right thing you have absolutely nothing to worry about. Always keep your word, tell the truth, and do what you say you are going to do. # 26 Take responsibility for your own actions. We live in a society where everyone plays the victim card. There is no such thing as a successful victim. Man up or woman up in your business and accept 100% responsibility for your success or failure. # 27 Be persistent and consistent. You must stay persistent and consistent. Work on your business every day, no exceptions. Stick with it. Don’t work your business for a few hours this week and then take the next couple weeks off. Set business hours and work your business every single day. # 28 Build depth. Build each leg of your organization as deep as you can and never stop. This is where your long term security comes from in your business. Drive each leg as deep as you can. # 29 Work with the workers. Spend most of your time with your workers. Most people are not workers or doers. Look for people in you group who are putting in the work and match their efforts. Partner up with them and help them succeed. # 30 Turn off your television. When was the last time your television paid you to watch it? TV is a big time killer, plus it’s loaded with negativity. Most shows, and the news, are very negative. Most people watch minimum 2-3 hours of television per day. That’s time you could be building your business. # 21 Add people to your contact list every day. Build up your names list. Meet new people every day and add them to your list. Never stop meeting new people. Never stop building your list. # 32 Be a product of the product. Use all of your company’s products so you can develop a good product story and know the features and benefits of each product. # 33 Be an ambassador to the industry. Never speak bad about other companies or other distributors. Be a professional at all times. Take pride in the industry and do what you can to improve the overall reputation of the entire industry. # 34 Be punctual and prompt. Show up on time. Start and end your meetings on time. If you are running a few minutes late, send a text, email or phone call and let the person know. Respect other people’s time. # 35 Never stop talking to people. No matter what level you are at in the compensation plan, keep prospecting new people. Never stop prospecting and recruiting. New blood is vital in your business. Plus it keeps your skills sharp and allows you to lead by example. # 36 Never go into management mode. Don’t sponsor a few people and then sit back and wait for them to make you successful. It’s not your job to manage anyone. Instead, it’s your job to be a leader. That means you set the pace and you support your team, but you don’t try to manage others. Everyone on your team is responsible for their own business. # 37 Work harder than your competition. Hard work is important. Success is often disguised as hard work. Be willing to invest minimum 10-20 hours per week for minimum five years to make it in your business. When you work, work. When you rest, rest. # 38 Work smarter than your competition. Anyone can work hard. That is noble. But working smart is what makes the big difference. Work on the money producing activities. Use tools and resources to help you. Delegate things to your downline. # 39 Say less to more people. Most people tell their prospect way too much information. They give their prospect information overload. What you want to do is say less and approach more people. Instead, of approaching 10 people and telling them everything under the sun, approach 100 people and get them to watch a video or webinar. # 40 Under promise and over deliver. It’ much better to do this than over promise and under deliver. If anything, be conservative with your numbers and facts, rather than over exaggerate. # 41 Put on your blinders. We’re all busy. Sometimes life gets in the way. It’s easy to get distracted. You have to put on your blinders and make this business a priority or it will never get built. # 42 Become a good storyteller. Facts tell and stories sell. I learned that from “Big Al” Tom Schreiter. Learn how to tell a good story that captivates your prospects. # 43 Serve people. Be a servant leader. Don’t act as if your team works for you. Instead, act as if you work for your team. Put your own needs on hold and help others succeed. If you help others get what they want you will get what you want. # 44 Get others excited. Excitement is contagious. Keep your team motivated. The easiest way to excite others is to build your team in depth and always bring in new blood to the business. It’s the new blood that will keep everyone else excited. # 45 Treat every day of the month like the last day of the month. This is sage advice. Every day, act as if it was the last day of the month and you were trying to finish strong and hit your goals. Call those prospects, follow up with team members and make that final push. It makes a big difference. # 46 Think big. Most people think small. Dream big. Think big. Set some big goals for yourself so you are forced to stretch out of your comfort zone. It’s better to attempt something great and fail than attempt to do nothing and succeed. # 47 Study marketing and selling. Like it or not, this is a marketing and selling business UNTIL you recruit someone. Once you recruit someone it becomes a relationship business. Learn everything you can about sales and marketing so you know how to generate leads and close sales. # 48 Get LOTS of customers. Customers are the lifeblood of any business. Every distributor should have minimum 10-20 customers before they go out and try to recruit other distributors into the business. What would your team look like if every distributor on your team had 20 customers? # 49 Know your compensation plan. Study your company’s compensation plan. Know how you make money. Know the ins and outs of it so you can maximize the compensation plan and make the most amount of money possible. # 50 Master your emotions. Many people are controlled by their emotions. We are all emotional by nature; but successful people let their actions control their emotions rather than letting their emotions control their actions. Learn how to master your emotions. # 51 Smile more. You will be amazed at how many people you can attract into your business just by putting a smile on your face. No one wants to be around a sourpuss. When you smile at others it makes them feel good and makes them want to smile back at you. # 52 Never quit. There are only two ways to fail in this industry. The first way is to do nothing. The second way is to quit. Make a long term commitment to your business and don’t give up. Nothing worth accomplishing is fast, free or easy. # 53 Recruit professionals. Professionals are some of the best people to recruit into the business. Look for other entrepreneurs and sales people to recruit. Most are open minded and are willing to look at different money making ideas. Plus, they have a large sphere of influence and they are respected by their peers. These are the folks who can join the business and get off to a quick start. # 54 Ignore the Dream Stealers. Dream Stealers are everywhere. These are the people who try to bring you down to their level. Ignore them at all cost. Most people do not want you to be successful because it makes them feel uncomfortable (or like a failure). Instead, surround yourself with positive, like minded people. # 55 Develop winning habits. Our habits make us or break us. Our habits got us where we are at today. If you want to make changes in your life you need to change your habits. Form winning habits that move you closer to your goals and help you become a better person. # 56 Leverage your own talents and strengths. Everyone has different talents and abilities. There is no ONE way that everyone should follow to build their business. Everyone is different. Your job as a sponsor is to help each person on your team identify what they are good at and come up with a business building strategy that works for them. # 57 Focus on a niche market or target market. One of the best things you can do is pick a niche market and focus on them exclusively. Rather than trying to prospect everyone and anyone, write down a few niche groups that might be interested in your product line or business opportunity and focus on recruiting people in that niche. # 58 Find your leaders as quickly as possible. The sooner you can find your three to five key leaders the better off you will be. It’s the leaders that will help you build a big business. You have to sort through a lot of people to find your key leaders, but it’s worth it. # 59 Never use pressure or hype. This is what gives our industry a bad reputation. Avoid it at all costs. Keep it real with people and respect people’s decisions. # 60 Treat others the way you want to be treated. Don’t look at other people you talk to as dollar signs. Look at each person as an individual. Treat everyone with respect and honesty, even if they decide the business or products are not for them. # 61 Be honest, sincere and genuine. This should be common sense. Never lie to people. Do the right thing. Have integrity. Enough said! # 62 Develop systems for your business. All businesses need systems. You need a simple system to generate leads, train your team, and grow your business. You don’t have to use your upline’s system, but you do need to find something that works for you. # 63 Have a first class business card. Every business owner needs a business card of their own. You want a catchy business card that doesn’t say the name of your company. Make it more like a little classified ad with a headline and call to action. Your goal is to arouse the curiosity in you prospects, so they will call you or visit your website. If your business card has all of your company’s information on it, it won’t work very well. # 64 Read every day. Read for at least 15 to 20 minutes every day. You feed your body every day. It just makes sense to feed your brain as well. 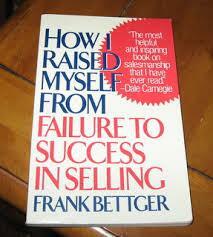 Find good books on leadership, network marketing, business, marketing, communication, sales, etc. Try to read one book a week, minimum. Check out my suggested reading list. # 65 Meet with people face to face whenever possible. This is a relationship business. When possible, meet with your prospects face to face so you can have a normal conversation with them and look them in the eyeballs when talking with them. This is 100x more effective than email, Facebook or the phone. # 66 Be enthusiastic. Enthusiasm is contagious. Be enthusiastic about what you do. Be enthusiastic about the industry, your company, your products and your future. People will feel your enthusiasm when you talk with them and many of them will want to join your team because of it. # 67 Embrace rejection. Rejection is a normal part of selling. Don’t take it personally. If you aren’t getting a lot of rejection in your business you aren’t talking to enough people. Calculate how much a NO is worth to you. Realize that every time you hear a NO you are one step closer to a yes. Learn how to deal with rejection. # 68 Make a friend and meet their friends. I learned this advice from my mentor, Don Failla. When you sponsor someone, you now have access to their 500 to 2000 friends. The sooner you can get in their sphere of influence the better. It’s much better to help your new team members that it is to keep personally sponsoring yourself. # 69 Don’t hide behind your computer. You can generate leads online, but this will always be a people business. Don’t think an email campaign or blog will just build your business for you. If you do meet people online, take the relationship offline as quickly as possible. # 70 Support the industry. Buy non competing products from other MLM Companies as a retail customer or wholesale buyer. Only build one business with one company, but support other companies who have different products that interest you. # 71 Lead with the products. After doing it the other way for more than a decade, I can personally tell you that leading with the products is the best way to go (as I see it). Most people have a fear of selling, but just about everyone likes to buy. Your real goal is to find customers and then upgrade your happy customers into wholesale buyers and business builders. # 72 Help others become successful. As a sponsor, your job is to help your people succeed. No, it’s not your job to make them successful or manage them. But once you sponsor someone, and they want to build a business, start working with them. Work closely with each person you sponsor (who lets you) and help them build a team. # 73 Attend all events. You should attend every company event that you possibly can especially large regional events and the company’s annual convention. You should also attend generic network marketing events and seminars/workshops on leadership, marketing, sales, network marketing, etc. # 74 Enroll in automobile university. Replace the music in your car with something that can teach you new skills and help improve your attitude. Listen to CDs and training on leadership, communication, marketing, business, network marketing and anything that is inspirational. When was the last time you got paid to listen to music? # 75 Go wide and go deep! I learned this lesson from Mark Yarnell. Sponsor as many people as you can personally, and drive each leg of your organization as deep as you can as quickly as you can! Width gives you profitability but depth gives you long-term security. There you have it folks. These are my Top 75 Best Secrets and Ideas of All Time. Which idea on this list is your favorite and why? Leave a comment below and let me know what you think. I look forward to hearing from you. A long term vision, mentorship, and commitment are keys I live by in my own business. These three things help to offer you the motivation and encouragement to continue working hard and see real results. I know for certain that if I hadn’t developed a plan centered around a long term vision I would have made very little progress. I also know that if I didn’t have a mentor to help show me the ropes and avoid certain mistakes i probably would have messed up in detrimental ways. Additionally, if I didn’t have that drive within myself to keep going I would have quit when I was right on the verge of really accomplishing something. Great list of advice! Yes, having a long term view is so important. People would be amazed at what they could accomplish in a three to five year period if they were consistent.